Because of the demand in first aid certificate in Canada, Regina First Aid training courses have become the most popular in the area over the last few years. Training courses, stand-alone classes, private classes, and refresher courses on first aid, cardiopulmonary resuscitation (CPR), and automated external defibrillation (AED) are offered by Regina First Aid. You’re sure to get the best training for the lowest rates with Regina First Aid. Enrol in a training course with Regina First Aid today! Visit the Regina First Aid website for a complete list of classes and schedules prior to your enrolment. An on-line application form is also available on the website. You may also complete your training with an e-mail, telephone call, or walk-in at the training center. Regina First Aid offers the lowest training course rates in the area. Initial enrolment fees are inclusive of taxes, certificates, and workplace approved registration fees. Training manuals and equipment are also included in the initial rates so trainees don’t have to worry about additional fees. Trainees who are unable to complete their chosen course are entitled to a full refund, provided a 72-hour notice prior to dropping out is given. Training courses come in three levels: “A”, “C”, and “HCP”. AEDs are machines that detect heart rhythms and apply needed shock to the heart. All levels include basic first aid and AED training. 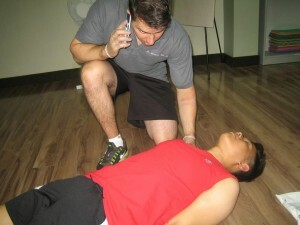 All training levels are inclusive of basic first aid training. However, stand-alone CPR/AED or first aid training classes are also available to trainees who do not want to undergo the complete training course level. Basic first aid classes cover a variety of topics such as injury management, food safety, and even pet first aid. Private classes are offered to trainees who cannot enrol in any of the regular class schedules. Private classes are usually taken by big groups or companies who request a separate training class. Refresher courses for renewal of expiring or near-expiry certification are also available to Regina First Aid trainees at least twice a week. All classes are overseen and taught by workplace approved certified instructors to ensure high quality training. Trainees who are able to complete a training course are awarded a workplace approved training certificate for first aid, CPR, and AED, valid for three years throughout Canada. Training centers are high-end, equipped with the latest training mannequins and AED trainers. Classrooms are also spacious and well-maintained to provide an environment best conducive for learning. The Regina First Aid training centers are easily accessible as well, within walking distance to public transportation, parking, and restaurants. DON’T remove burned clothing. This may be stuck to the skin and cause further damage and injury if removed. DO remove smoking/smoldering/burning clothing and objects near or on the victim. DON’T immerse burn injuries in ice/cold water. DO use cool, running water to relieve pain, if the victim is experiencing any. DO check for circulation and breathing. 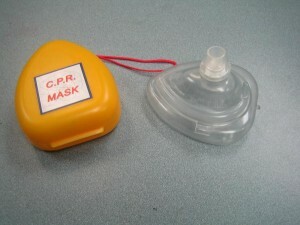 If none is detected, perform CPR immediately. Elevate the injured area or body part above heart level (if possible). Cover the area of the burn with a moist, cool, sterile gauze and/or bandage. Your doctor might give you a tetanus booster shot if your last shot was more than five years ago. Tetanus shots are usually given in boosters every 10 years. What are you waiting for? 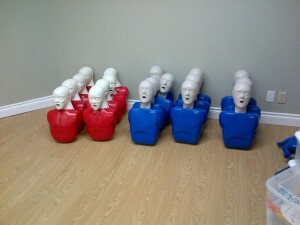 Enrol in a training course with Regina First Aid today!